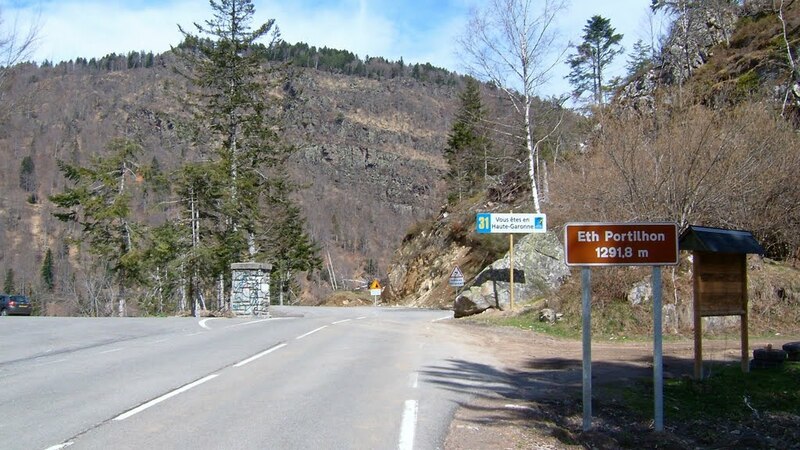 Col du Portillon is in Haute Garonne on the border between France and Spain. The summit is 1293 metres altitude. Cat 2 from Bossòst in Spain, the climb is 8.6 km @ 6.8%, with 583 metres gain. The steepest section is at 8.2%, 3 km from the summit. Cat 1 from Bagnères-de-Luchon, the climb is 10.2 km @ 6.5% gaining 663 metres. 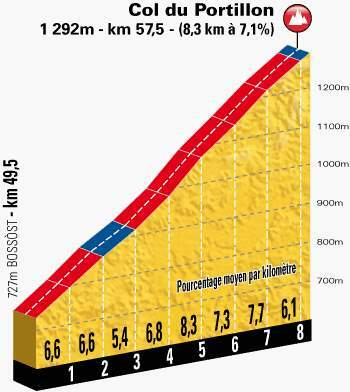 The final 7.9 km is at an average gradient of 8.4%, with the steepest section being at 13.9%.